What does Djamel mean, details, origin, short & easy attributes? Djamel pronunciation in 20 different native languages. djamel. OTHER SCRIPTS: ARABIC (جميل) LANGUAGE FAMILY: afro-asiatic > semitic > central semitic > arabic ORIGIN: arabic NAME ROOT: JAMīL NATIVE NAME ROOT: JAMīL (جميل) MEANING: This name derives from the Arabic “Jamīl”, meaning “beautiful and radiant, beauty, beauty in behavior“. Djamel is baby boy name mainly popular in Muslim religion and its main origin is Arabic. Djamel name meanings is Beauty. People search this name as Djamel. Djamel is written in Urdu, Hindi, Arabic, Bangla as دجمل, दजमेल, دجيمل, দ্জামেল. Other similar sounding names can be Djamila. Each letter meanings in Djamel Name. Popular personalities with Djamel Name. 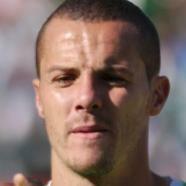 Djamel Mesbah is a soccer player for the U.C. Sampdoria, Servette FC, FC Basel, FC Lorient, FC Aarau, FC Luzern, U.S. Avellino 1912, U.S. Lecce, A.C. Milan, S.S.D. Parma Calcio 1913, A.S. Livorno Calcio, and Algeria national football team. Djamel was born on October 9th, 1984 in Zighoud Youcef, Algeria. Djamel Abdoun is an athlete for the Veria F.C., Paris Saint-Germain F.C., AC Ajaccio, Manchester City F.C., CS Sedan Ardennes, FC Nantes, Nea Kavala F.C., Olympiacos F.C., Nottingham Forest F.C., K.S.C. Lokeren Oost-Vlaanderen, France national under-18 football team, and France national under-1. Djamel was born on February 14th, 1986 in Montreuil, Seine-Saint-Denis, France. 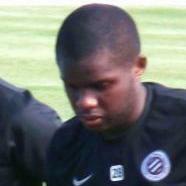 Djamel Zidane is a soccer player for the USM Alger, K. Sint-Niklase S.K.E., K.V. Kortrijk, K.R.C. Genk, and Algeria national football team. 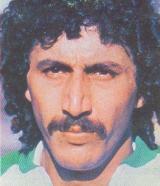 Djamel was born on April 28th, 1955 in Algiers. 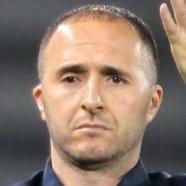 Djamel Belmadi is a soccer player for the Lekhwiya SC, Paris Saint-Germain F.C., FC Martigues, Olympique de Marseille, AS Cannes, Celta de Vigo, Manchester City F.C., Al-Gharafa Sports Club, Al Kharaitiyat SC, Southampton F.C., Valenciennes FC, and Algeria national football team. 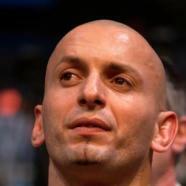 Djamel was born on March 27th, 1976 in Champigny-sur-Marne, France. Djamel Bakar is an athlete for the Montpellier HSC, AS Monaco FC, AS Nancy, France national under-19 football team, and France national under-21 football team. Djamel was born on April 6th, 1989 in Marseille. 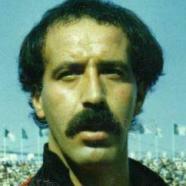 Djamel Menad is a soccer player for the JS El Biar, CR Belouizdad, JS Kabylie, Nimes Olympique, F.C. Famalicao, C.F. Os Belenenses, USM Alger, and Algeria national football team. 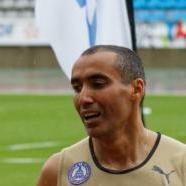 Djamel was born on July 22nd, 1960 in El Bayadh, Algeria. Other Personalities with Djamel Name.